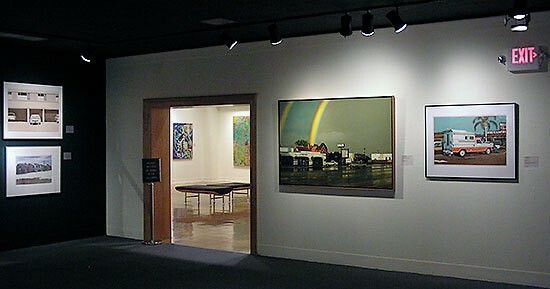 In 1969, New York gallerist Louis K. Meisel coined the term “Photorealism” to describe the work of artists who, among other things, used “the camera and photograph to gather information” as well as “a mechanical or semi-mechanical means to transfer the information to the canvas.” Photorealist work is also marked by a bright palette, acute detail, seemingly inconsequential subject matter, and of course, the general appearance of a photograph. Yet, more than simple transcriptions of photographs, Photorealist images investigate the relationship among light, shape, and color; examine the effects and functions of time; and probe notions of the literal and the mundane. This exhibition presents the work of several original members of the American Photorealist movement, selected from the UAMA permanent collections. Many of the prints on display were published in 1972 as part of a Documenta portfolio, which included ten lithographs by Photorealists and was produced in conjunction with the eponymously titled exhibition of contemporary art (on view every 5 years) in Kassel, Germany. 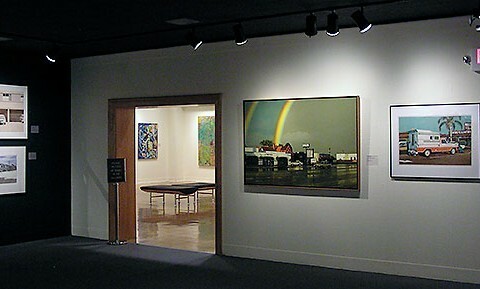 The exhibition brought Photorealism into the international limelight, and the work generated controversy among critics, some who viewed the movement as conservative, simplistic, and reactionary and others who welcomed the return of realism.